Mondo has now opened pre-orders for their exclusive version of the Masters of the Universe Faker 1/6 Scale Figure. the figure is the nearly the exact same figures as the Previews Exclusive Faker that was unveiled earlier today. The only real difference is that the Mondo Exclusive version will include a battle damaged head sculpt. Other items include a standard head sculpt, a classic toy head sculpt, interchangeable hands, a sword and sheath, a battle axe, a shield and a blaster. The figure is priced at $165, with a release set for September. Pre-order at the link below, and » Continue Reading. 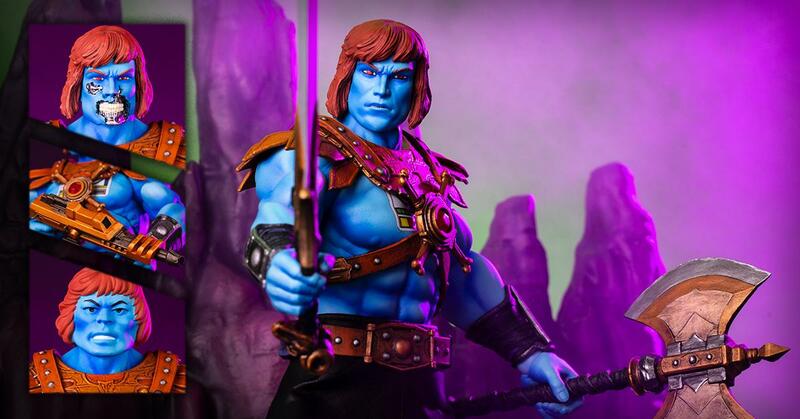 The post Masters of the Universe Faker 1/6 Scale Figure Mondo Exclusive Version appeared first on The Toyark – News. Funko POP Flerken Goose Figure (& Chase Variant) Up for Order!